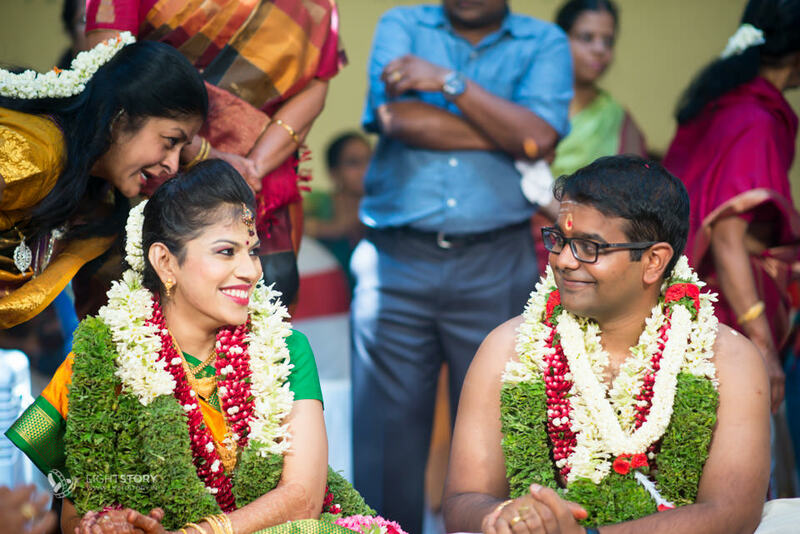 Ashwin and Sowmi met through their parents and hit it off almost immediately. 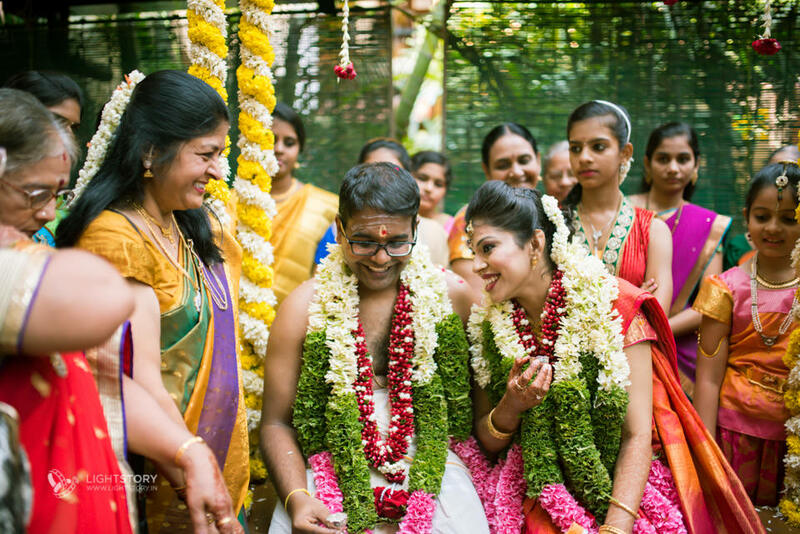 They wanted to get married in a personal, cozy space with only their closest friends and family. 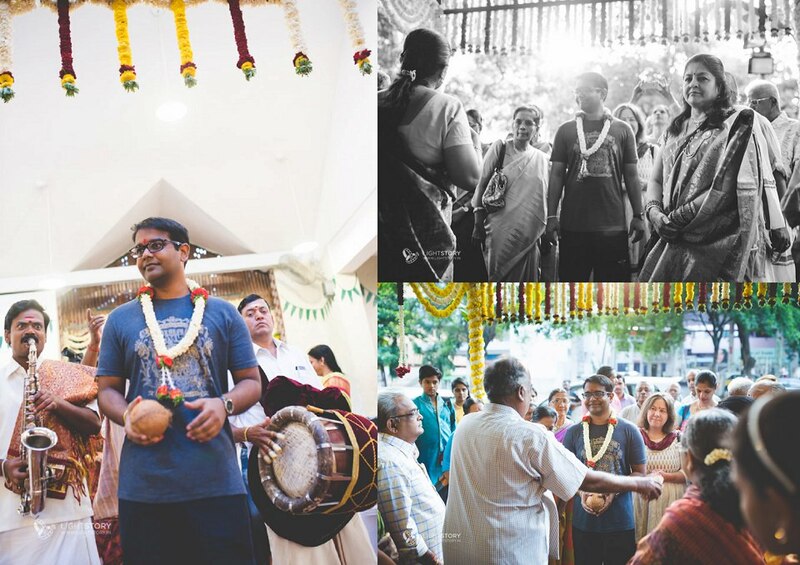 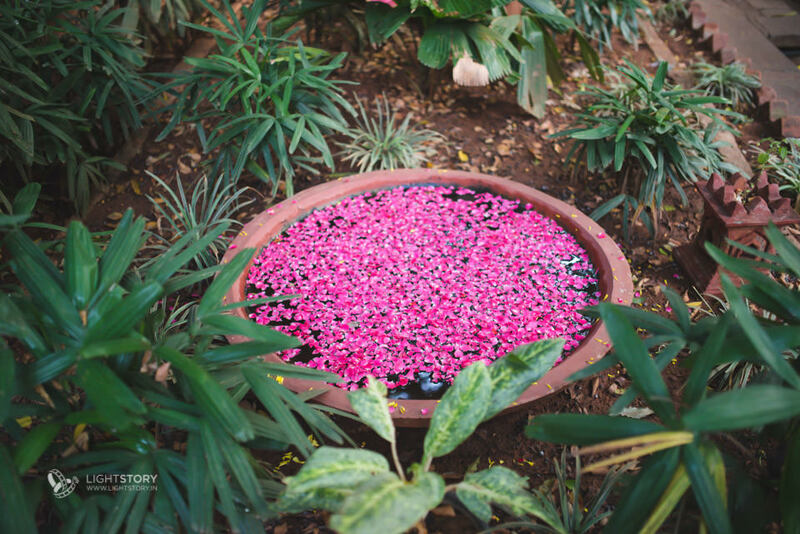 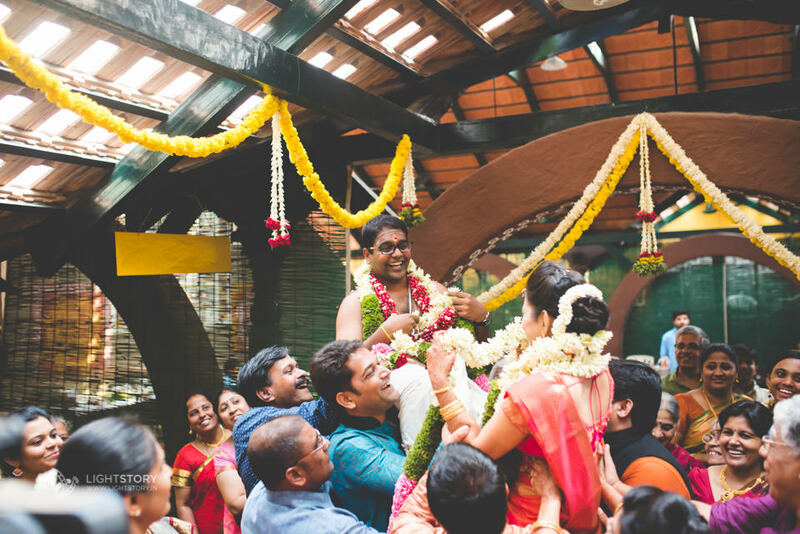 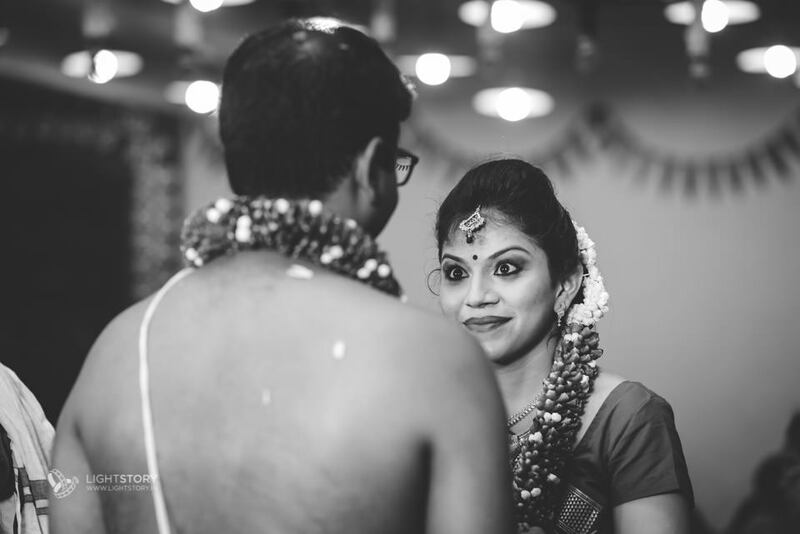 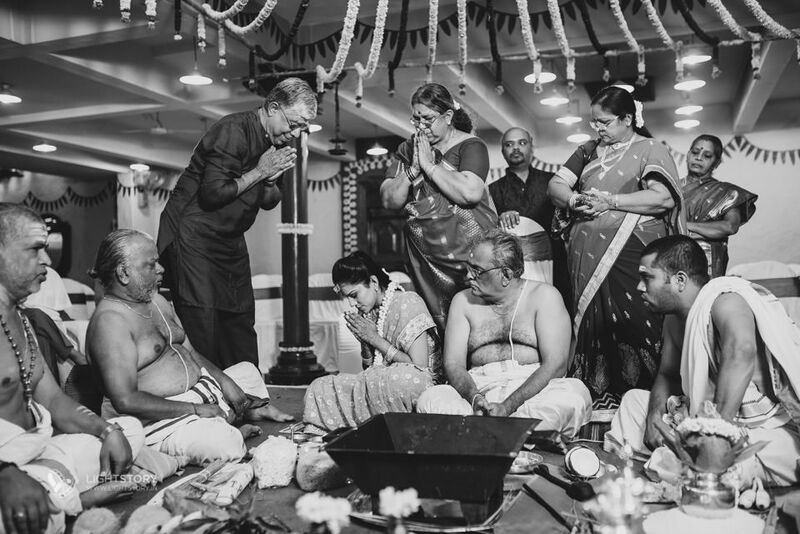 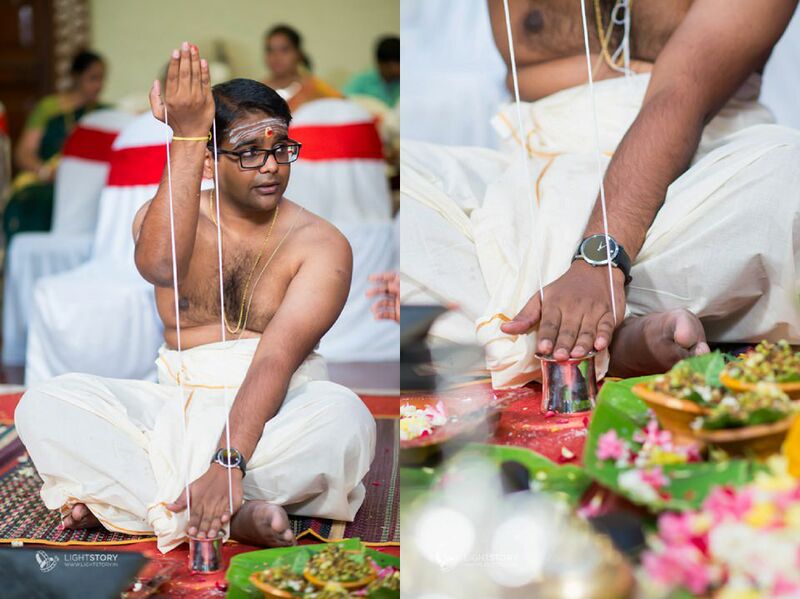 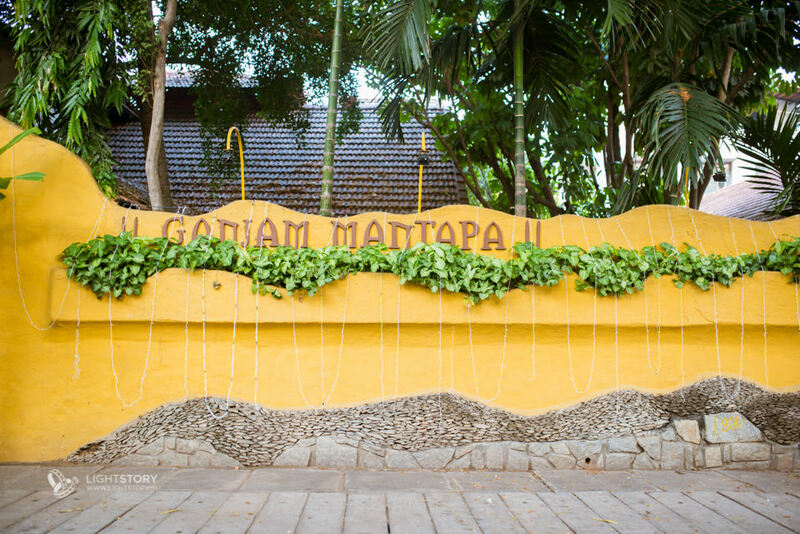 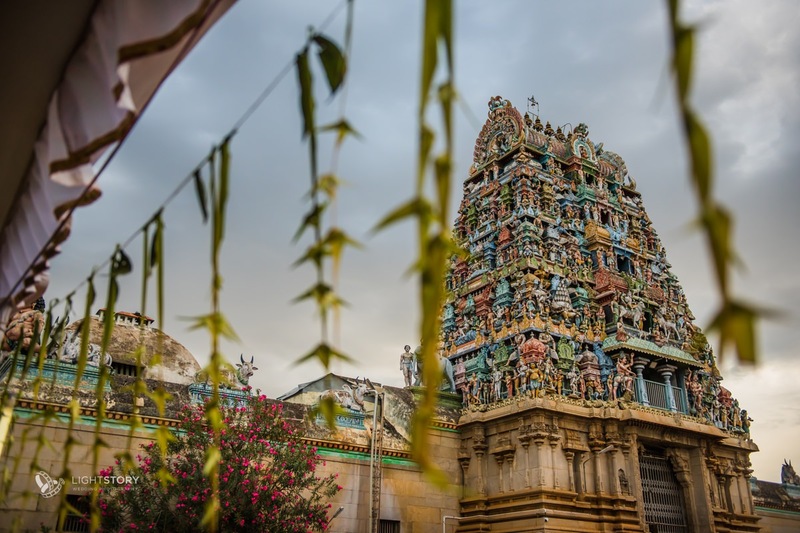 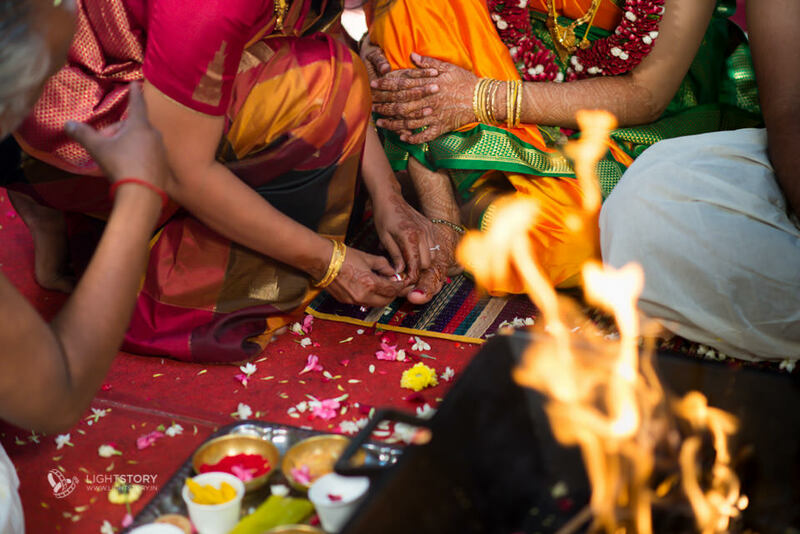 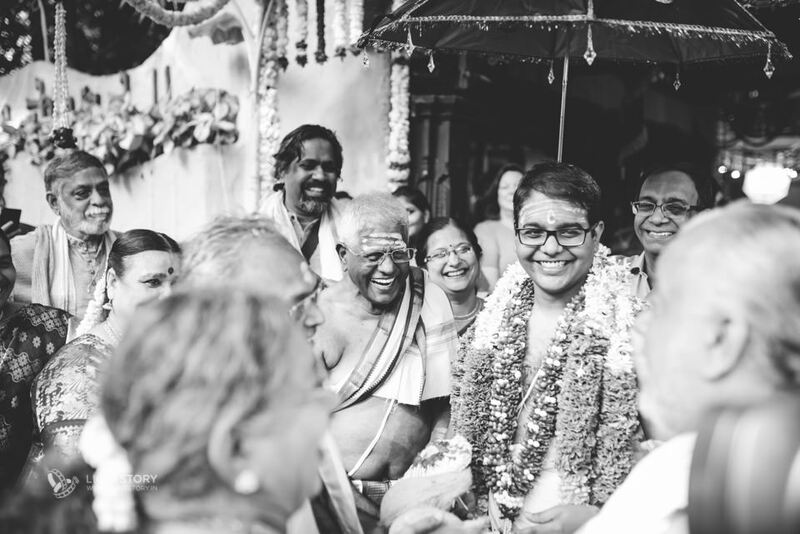 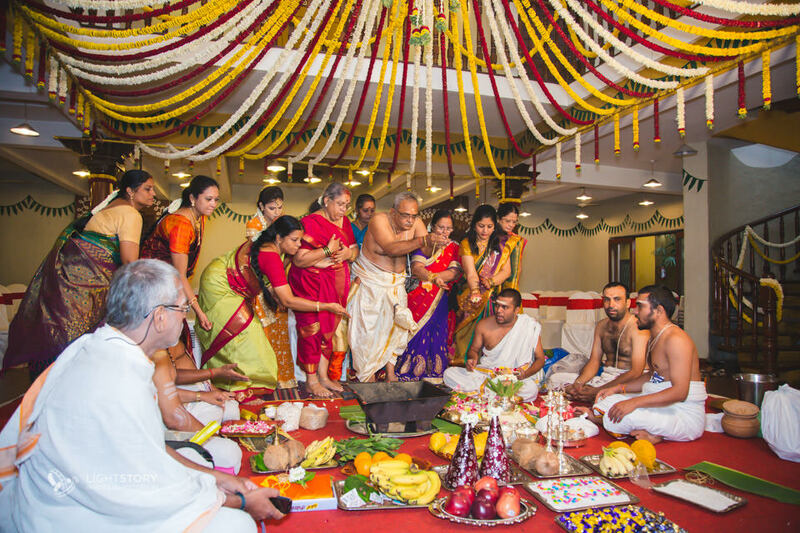 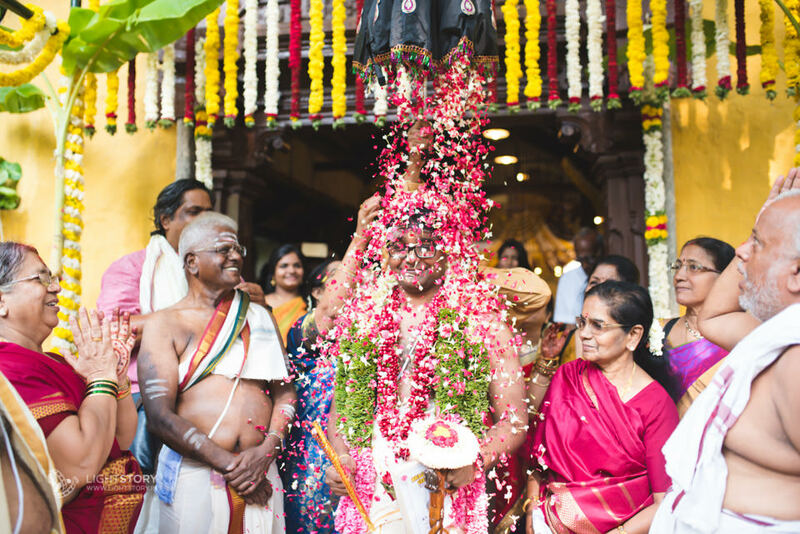 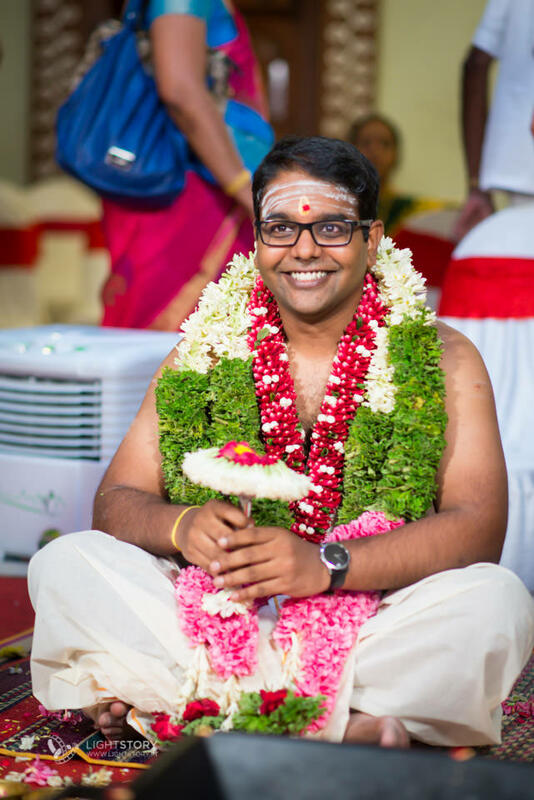 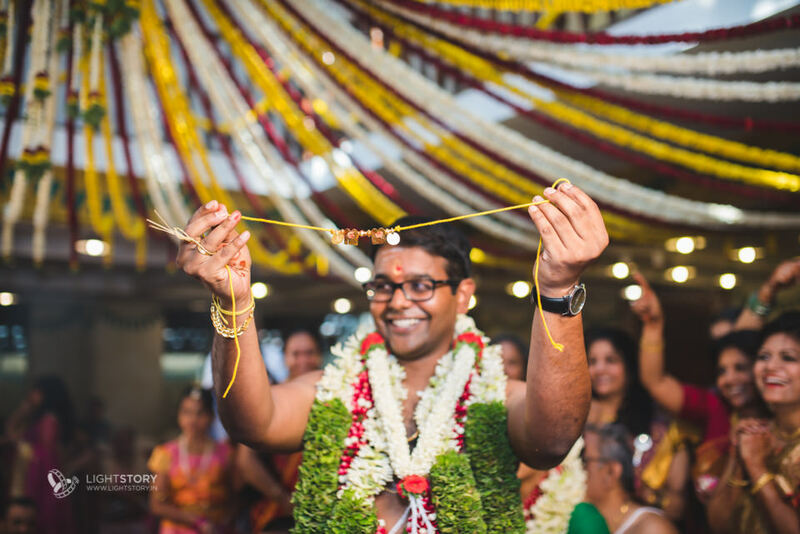 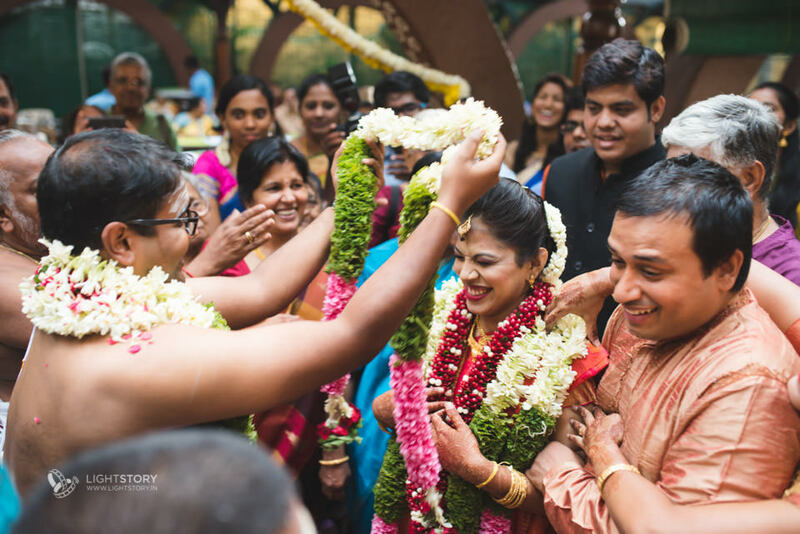 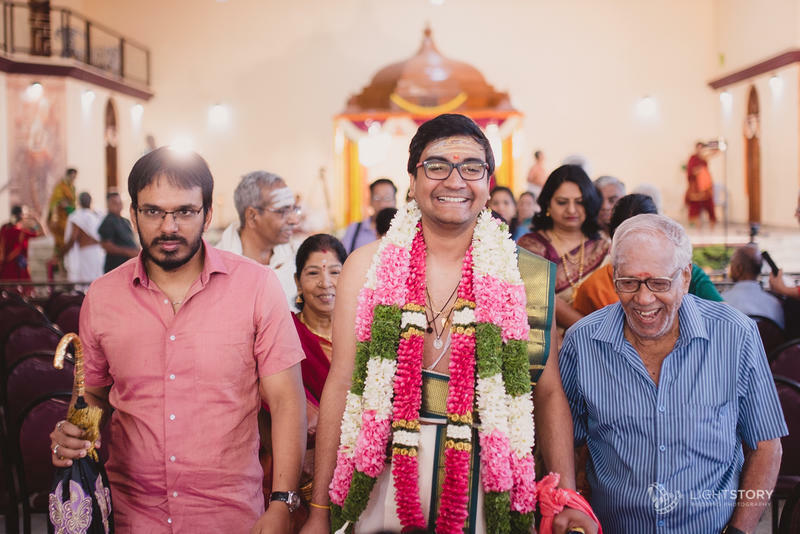 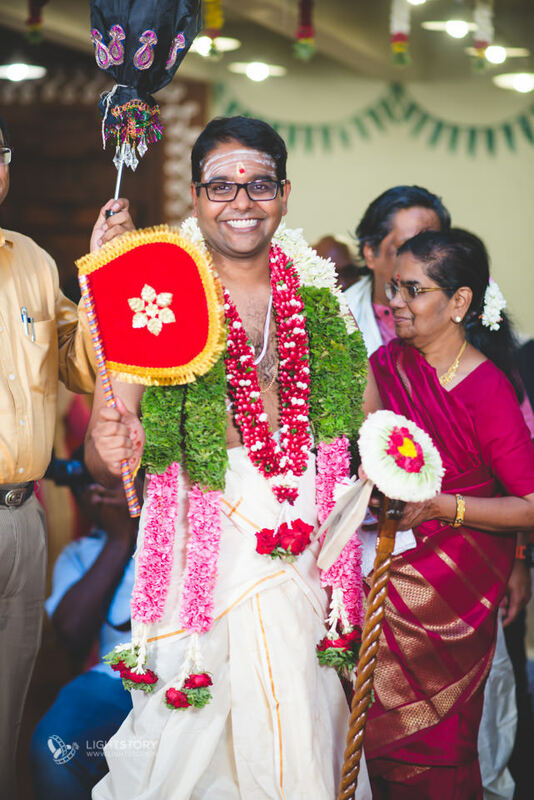 The ceremony was a trimmed version of the traditional tamil brahmin wedding at the charming Ganjam Mandapa in the heart of South Bangalore. 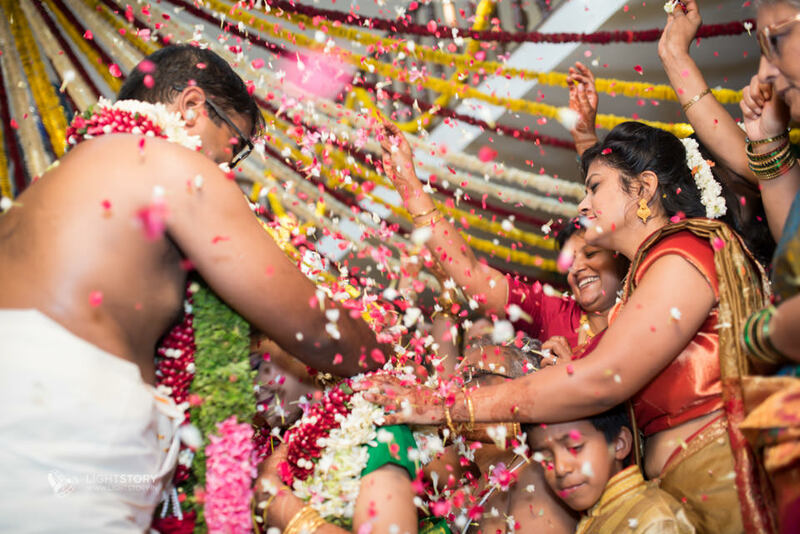 The hall was decorated largely with fresh flowers which added a heavenly touch to the event. 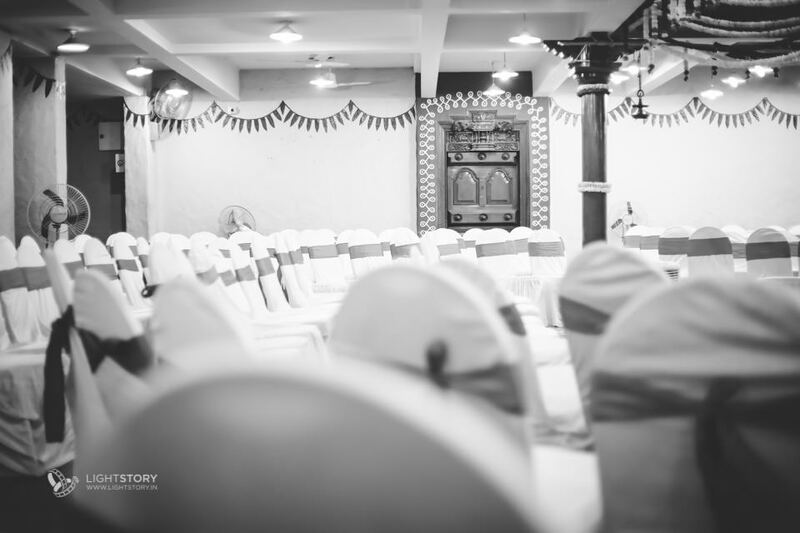 Although the wedding was in peak summer and the hall is not air conditioned, the venue was cool thanks to the beautiful architecture. 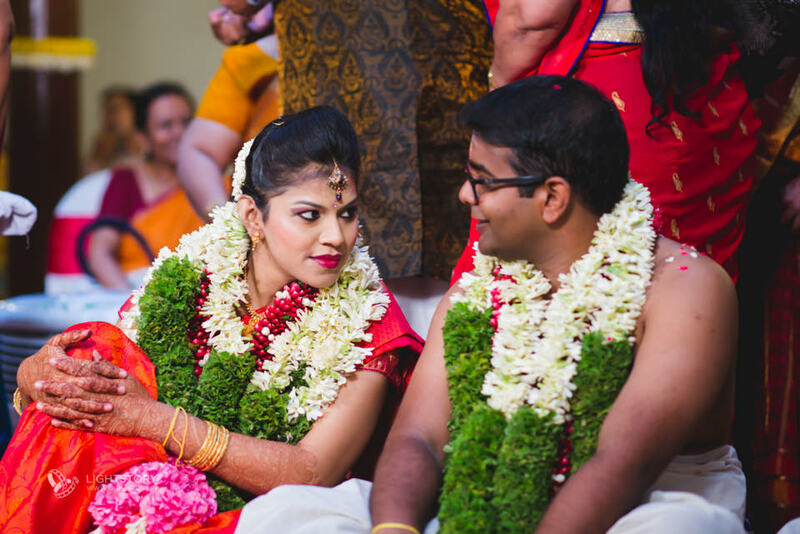 Ashwin and Sowmi were very cheerful and chatty thoughout the ceremony which yielded a lot of lovely candid photos. 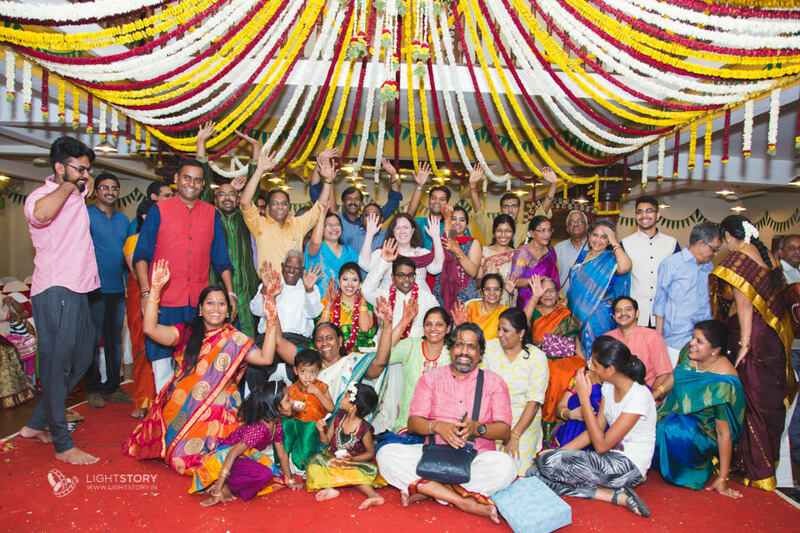 A lot of the guests had travelled far and long to attend their wedding-there was a good mix of their NRI family and friends, a large youthful crowd consisting of their cousins, the traditional TamBrahm uncles and aunties, were all a pleasure to shoot. 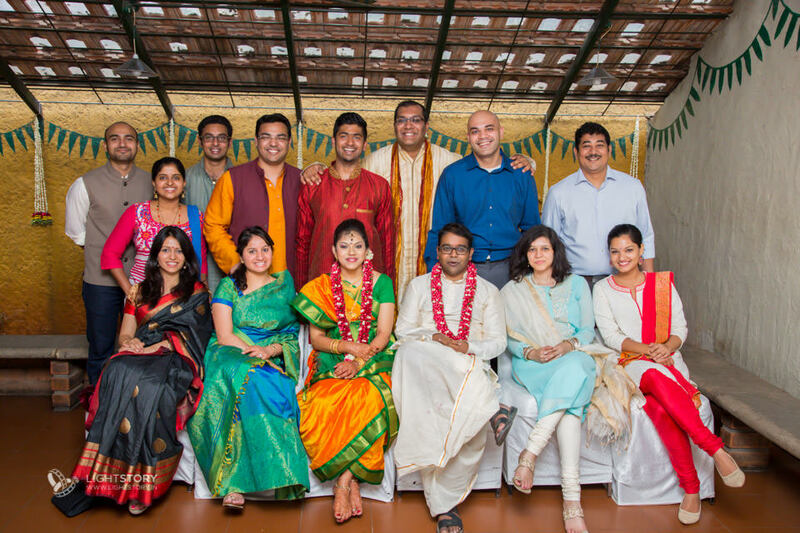 The vibrant colors and the jolly bunch created a truly memorable day. 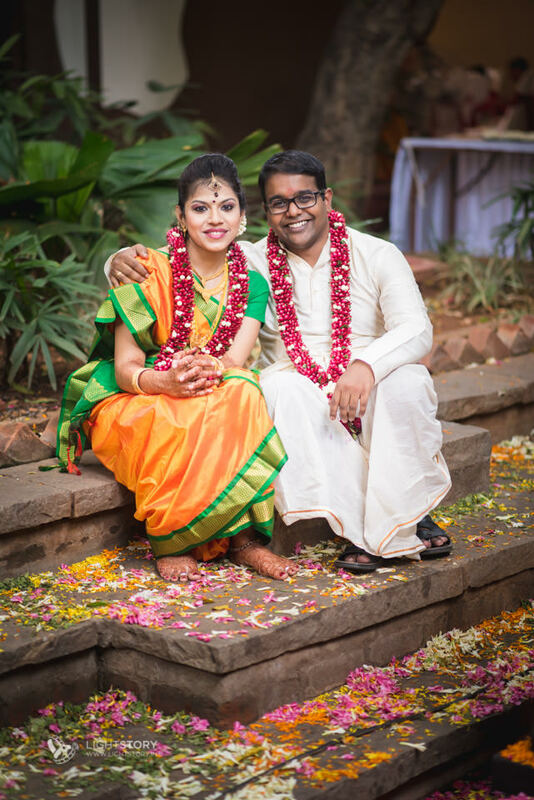 We wish Ashwin and Sowmi a very happy married life! 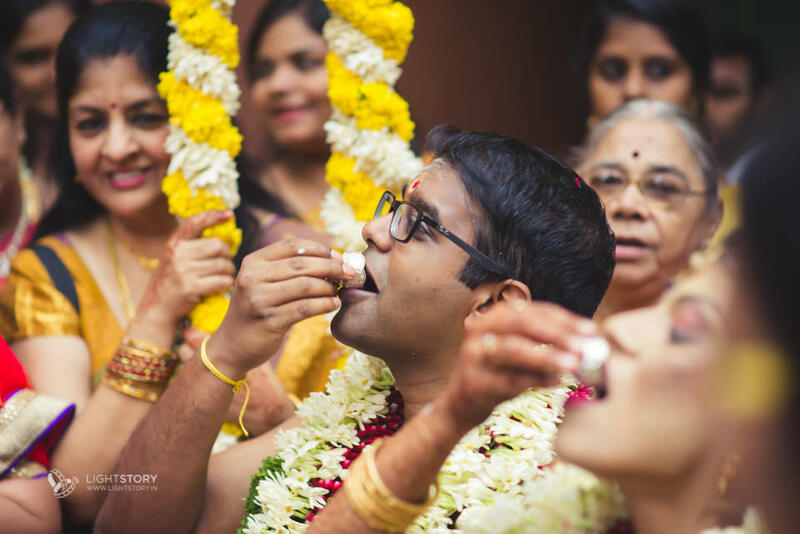 Light Story is a Candid Wedding Photography company documenting and narrating wedding stories since 2010. 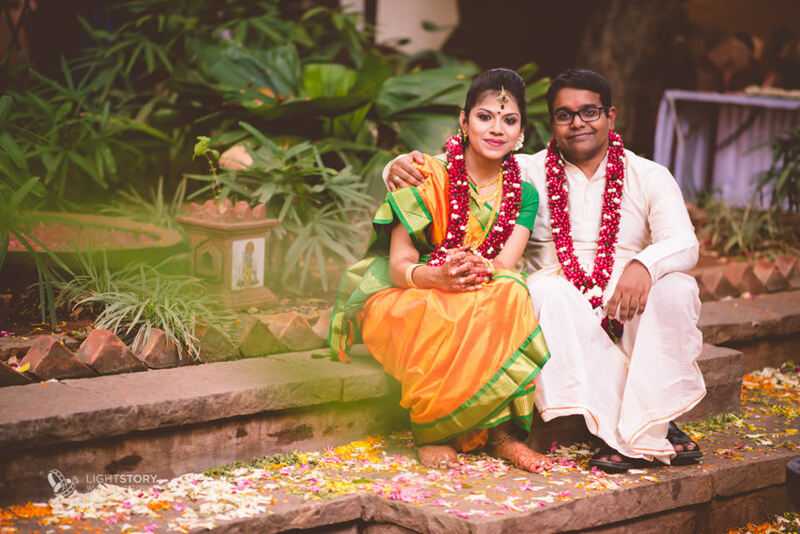 Based out of Chennai and Coimbatore, Light Story travels to all places around the globe where they can narrate a wedding story. 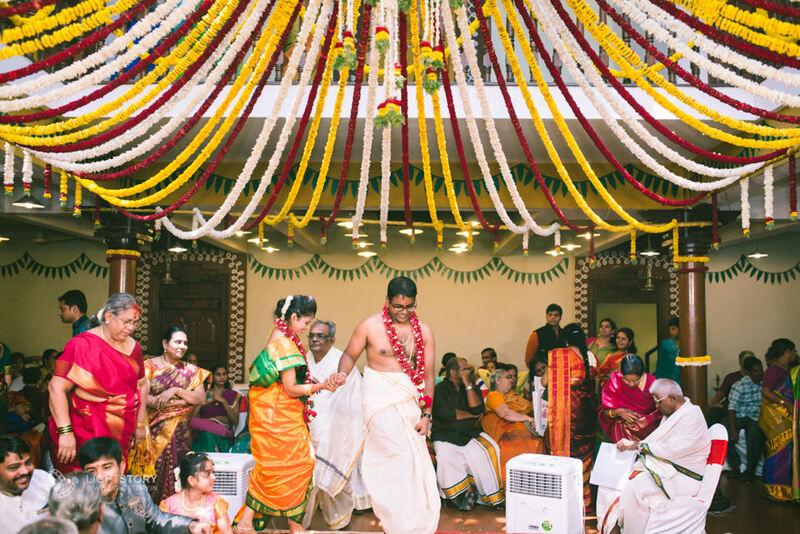 If you are looking to rope us in to be part of your celebration, we are game. 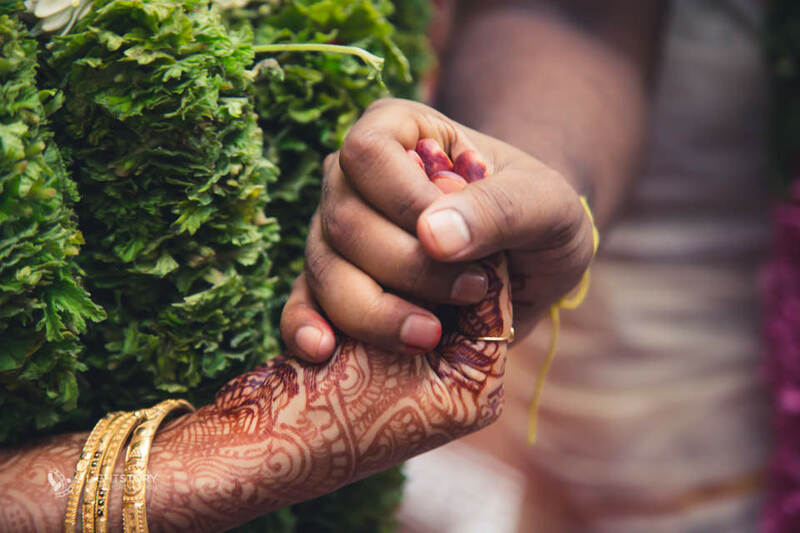 Reach out to us, we love to hear your story.